For nature lovers: hiking, skiing, paragliding, visits, etc. 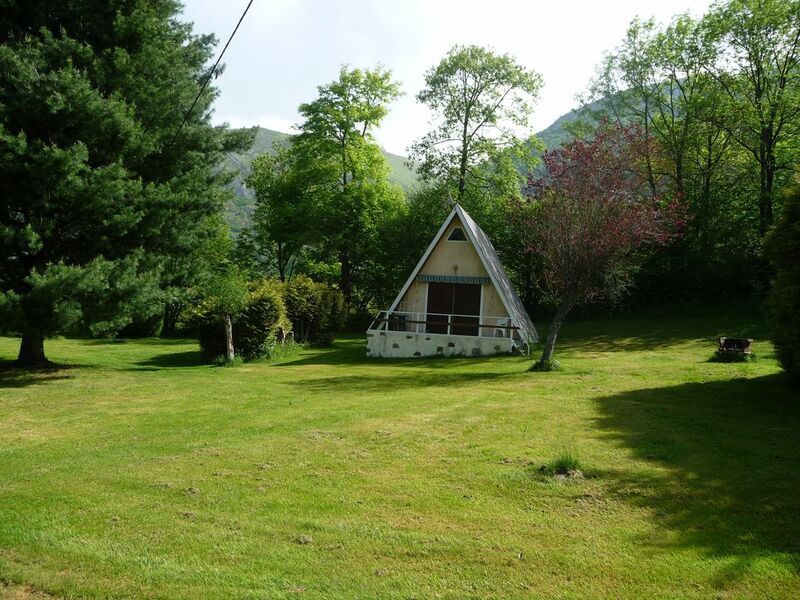 Comfortable Chalet in the countryside in the heart of the authentic campan valley, in a preserved meadow of 6000m2, bordering the river adour. Stunning views of the surrounding countryside and the Pyrenean mountains, at the junction of the mythical Aspin passes and the Tourmalet. You will appreciate this charming mountain chalet recently classified 3 keys, tastefully decorated and fully equipped. Main tourist attractions very close: Bagnères-de-Bigorre, its baths, its hall, its market. The villages of the valley. The churches with characteristic steeples. Transhumance (see the dates on the website Tourist Office of the Campan Valley). The Pic du Midi de Bigorre and its observatory. Un merveilleux moment en famille avec nos deux chiens ! Nous avons beaucoup aimé le cadre et la tranquillité du lieu. Propriétaire à l'écoute et réactive aux questions posées.